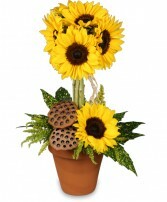 Order within 9 hours 6 minutes for Same Day Delivery! 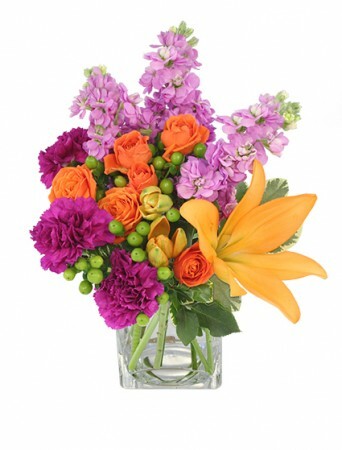 This elegant arrangement is perfect for the summer season. 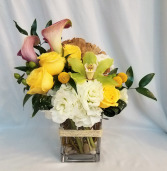 Hydreangea, cymbidium orchid, cala lillies, roses and billy balls are accented with dried mushroom, mixed greens and river rocks. 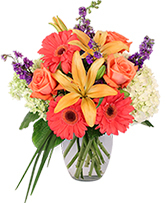 This cheerful and festive arrangement is sure to please with hydrangea, gerbera, roses, lilies and larkspur.